French conman gets 4-year jail sentence. 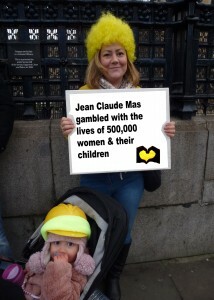 Jean Claude Mas, one-time pharmaceutical salesman and architect of global misogynistic fraud, was found guilty and sentenced to 4yrs in a verdict at the Marseille criminal court, tuesday 10 December 2013. An Appeal means Mas spends Christmas holidays at home with his family. Just doesn’t seem right!